Welcome to Jamie's Xena page ! Enjoy ! In a time of ancient gods, warlords and kings...a land in turmoil cried out for a hero...She was XENA, a mighty princess forged in the heat of battle...the power...the passion...the danger...Her courage will change the world! Welcome to Jamie's Xena Page!!! Please sign my guestbook if you leave! Thanks!!! Battle on!!! !!! 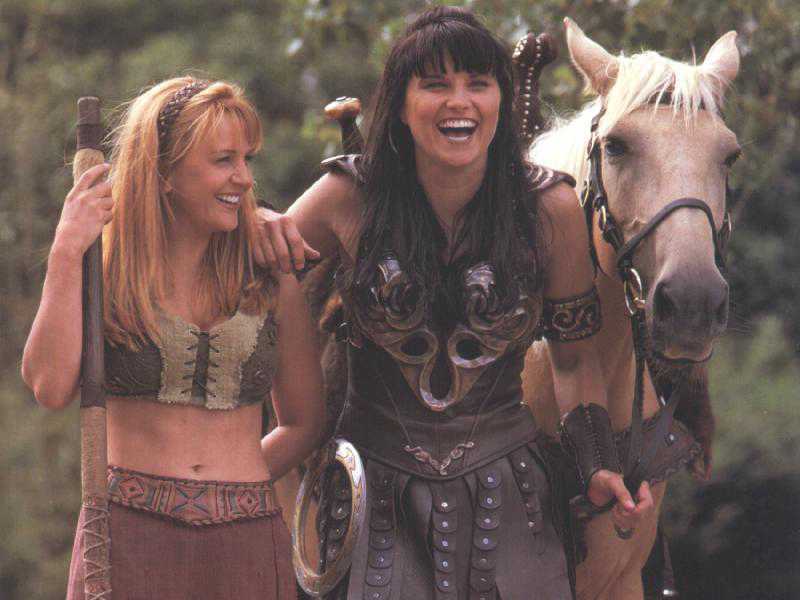 The Xena picture gallery is updated with 11 pictures about Lucy's childhood !!! Click here to view !!! + Pics from The Simpsons!!! Click here!!! New pictures from Renee's childhood!!! Click here!!! New!!! Take this month's poll !!! Thanks!!! A new baby has come into this world !!! Click here for more info...! Please vote for me by clicking the links below, especially the Diamond Web Awards and the top 50 award winning sites. Thanks!! !